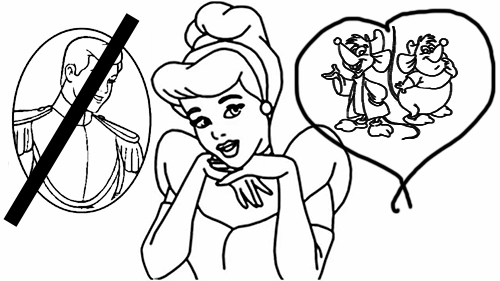 Cinderella decided she liked her mice better than the prince. I don't want that prince, I just want my mice. 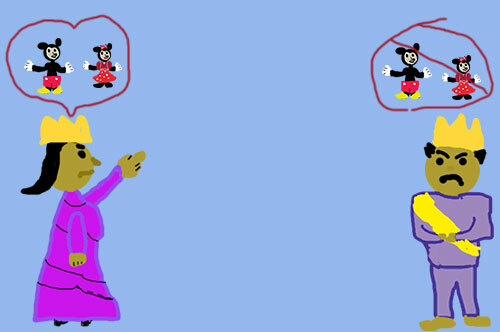 The queen is mad at the king because he didn't let her keep those two cute mice. The king and queen had a big fight about Mickey and Minnie. The king and queen from Alice in Wonderland's chess set argue over who is their favorite Disney character. Well the Disney theme made it through the entire game.